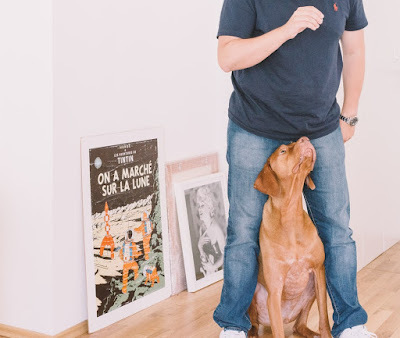 Are you struggling to get through mealtime without your dog trying to snap at you? 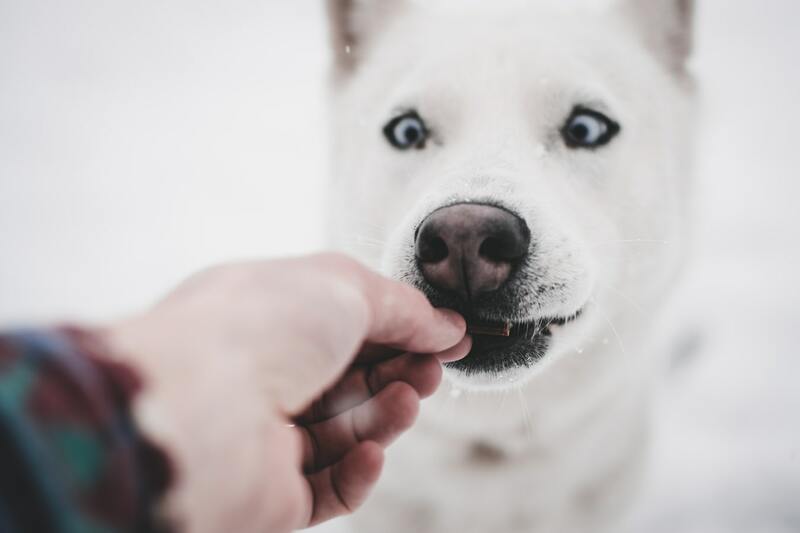 If this is the case, your pooch probably has a degree of food aggression. Don’t worry though, you aren’t alone, quite a large number of dogs have this problem! Through this article we help you understand and solve this issue so mealtime can become a more peaceful activity within your household – and no, no training supplies needed we promise. 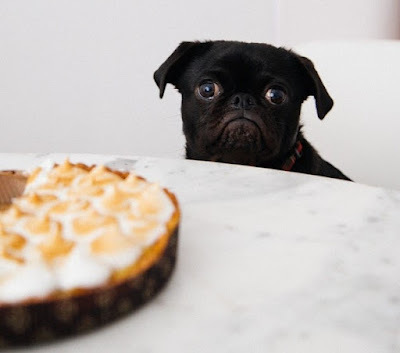 Food aggression is a form of resource guarding in which a dog becomes very defensive when eating, either towards humans or other animals. We’ve narrowed down this behavior to three degrees of aggression; mild, moderate and severe. Mild: stiffened body, head down, showing of teeth, growling and their body will hover over the meal as a way to protect it. Moderate: The whites of their eyes being visible, ears held back, tail lowered, snapping or lunging when approached. Aggression during mealtime can be quite common among dogs, however, if your pup is showing a number of the above-mentioned signs, it’s probably time to try fix this issue. 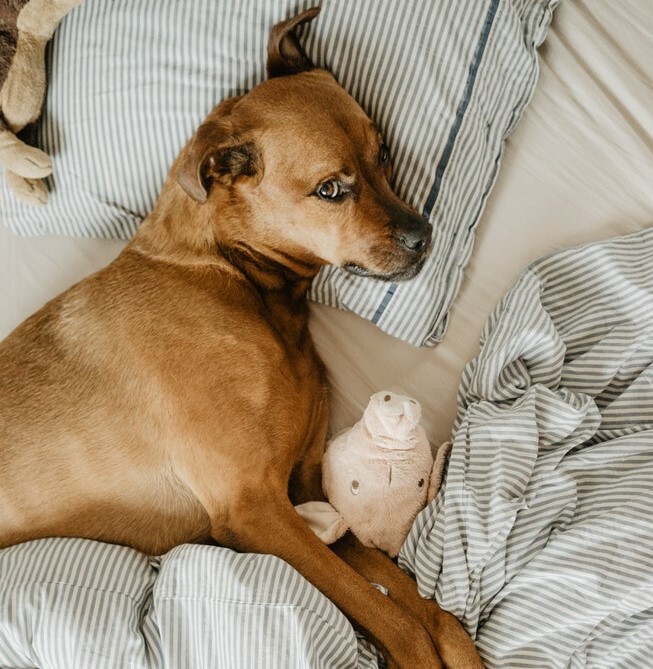 Dogs have a very good internal clock, therefore, with consistency, they quickly learn how to tell when it’s time to get up, time to go for a walk, or time for their humans to come home. Mealtime should be no different. 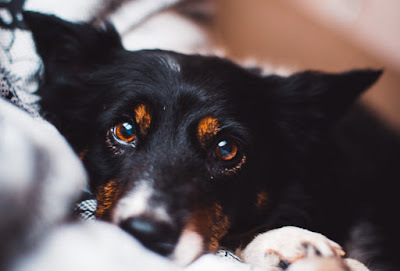 A large number of dog’s experience food aggression because they have fear or anxiety over when the next meal is coming. 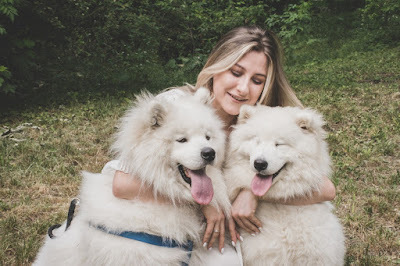 This fear is suggested to come from their pack mentality, and how the alpha would eat first and if there is any left, everyone else eats (i.e. your pup). 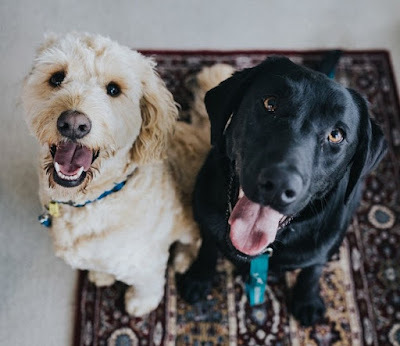 Be sure to be regular in feeding and try to have a specific feeding time to take away any anxiety and help calm your dog down during meal time. 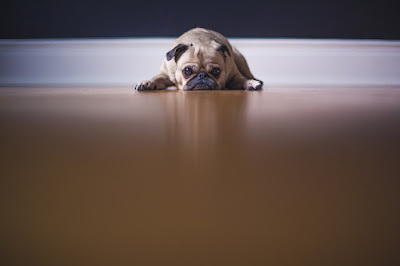 The best treatment for food-related aggression is avoidance – this is where you avoid placing the dog in situations which are likely to cause aggression. Often by the time you notice your dog has developed food aggression, it’s a bit too late. However, this prevention is one you can use at any stage in your dog’s life. For some dogs, avoidance can be a lifelong program; for others, it could help fix their aggression. Avoidance is relatively simple to implement. The dog is fed its meals behind a secure, closed door. 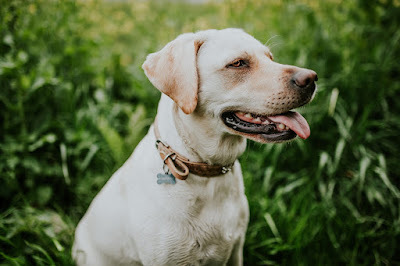 Once the dog has finished eating, it is let out of the room, and the owner can retrieve the bowl and any remaining food when the dog is not in the vicinity. By doing this, you eliminate any worry or fear your dog may experience during meal time due to their surroundings. 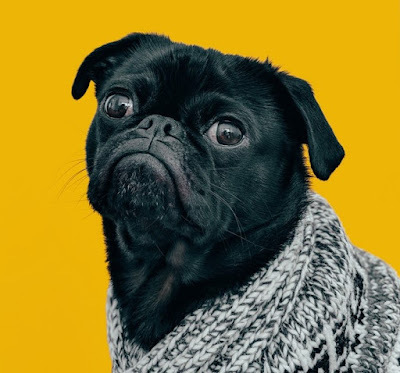 Dogs love to eat so mealtimes can be very exciting but if your pooch becomes overly excited they will be more likely to eat too fast or start showing signs of aggression when you approach them. 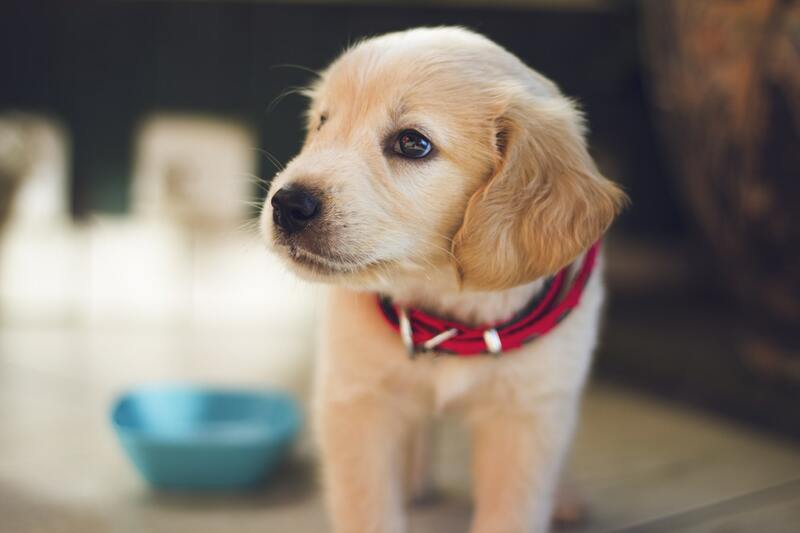 Before you offer your dog their food, ask them to sit and wait until they are calm before putting the bowl down on the ground. Furthermore, never feed your dog before or while the humans are eating. 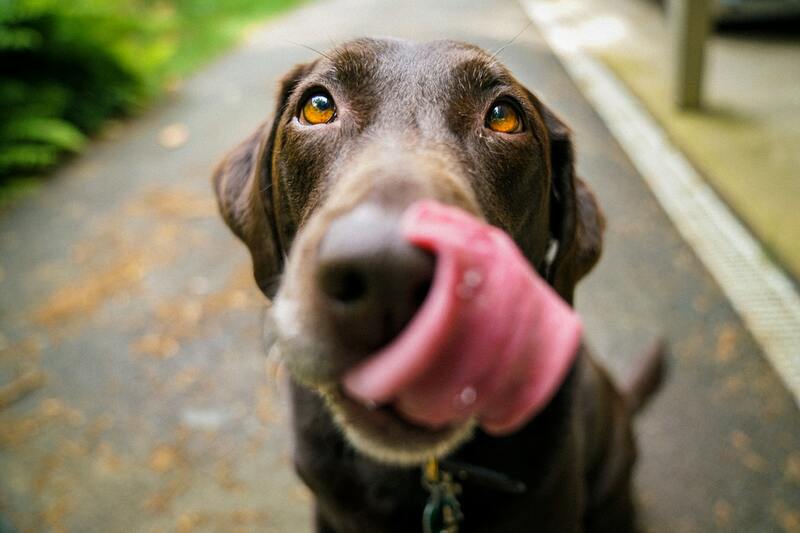 Humans eat first and then, when they’re finished, your dogs eat. This will reinforce your status as the Pack Leader, reminding them you’re in charge. Overall to prevent aggression in dogs, owners should never directly intervene via hitting, yelling or physical restraint. While these actions may interrupt the behavior in the moment, it is unlikely to solve the problem in the long-term. 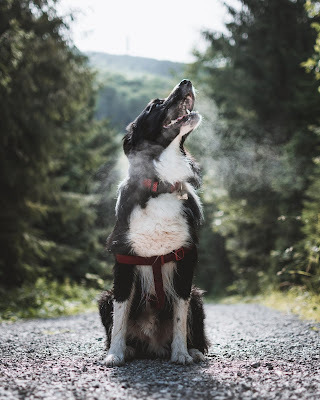 Direct confrontation may lead to intensified aggression displayed both at the moment of confrontation and in the future, or increase anxiety in certain dogs – making their food aggression worse. The key to beating food aggression is obedience. 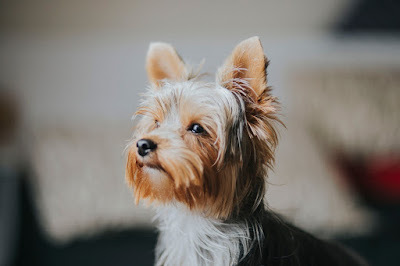 Your pooch needs to be able to listen and follow your orders, which ultimately should help overcome the aggression. 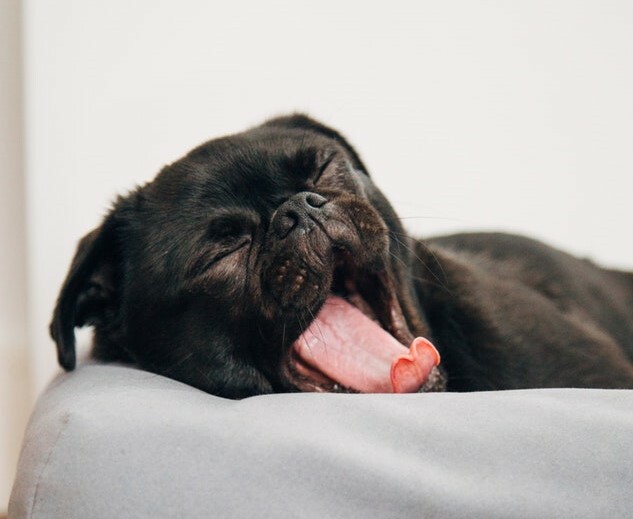 Is your pooch getting bored of their same old routine? If so, try adding in some of these fun brain games to help keep them moving and stimulated! It’s also a great way for you and your four-legged friend to bond. 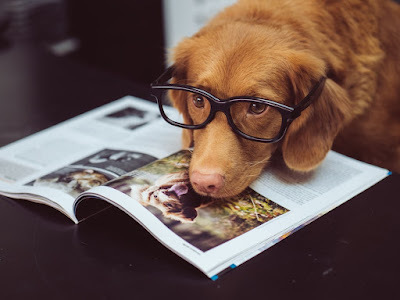 Mental stimulation not only enhances our dogs’ life by giving them something meaningful to do, but it also eases their boredom, decreasing the likelihood of them developing behavioral issues such as excessive chewing or barking. We like to think dogs have it pretty easy when it comes to meal time. Their bowl just gets set down and we let them go at it. Although there is nothing wrong with this, it is, however, limiting the use of their natural scavenging habits. So, a great place to start when adding some mental stimulation to your dog’s routine would be their feeding. Instead of just handing over their food, you can make a fun game out of it for your dog. 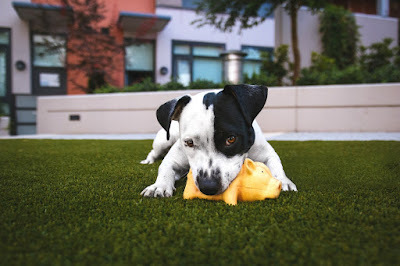 A common favorite is using a food dispensing toy, such as the Kong Wobbler, where you place your dog’s meals in the toy and they have to roll it around in order to get the food to come out of the hole. Before you ask, yes – it can be a bit noisy, but it’s well worth it when you see how satisfying it is for your dog. 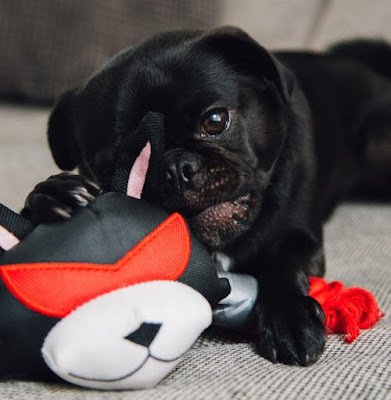 Puzzle toys are an easy way to keep your dog busy & entertained. One extra 15-minute game a day can make a huge difference to your dog. It gives them something to focus on and lets your dog use some of their natural problem-solving abilities. 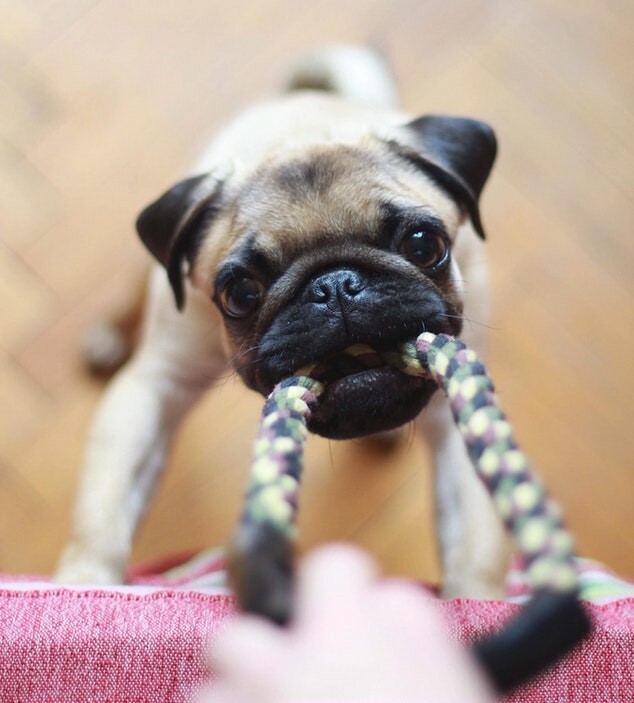 By keeping your dog engaged with interactive toys you can help boost their confidence & tire them out mentally. Keep in mind not all puzzle toys are loved equally by all dogs. We suggest looking into what puzzles are available and what would be best suited for your pooch. No one knows what your dog likes quite like you do. Is you fur-friend a trick expert? Have they mastered the art of stay, come here & lay down? Well, if they are, the good news is there’s a lot more you can teach them that goes beyond the basics. Whether your dog is completely new to this or an expert of the trade, there’s always something new to learn with tricks. Teaching your dog, a new trick or command is great for mental stimulation, and it can be particularly helpful with shy or fearful dogs. 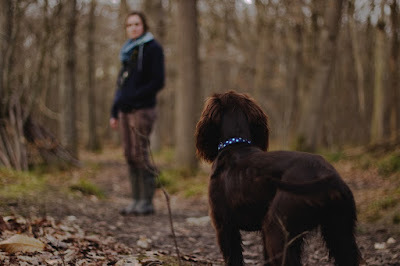 All that training will help boost your dog’s confidence, and it strengthens the bond between dog & owner. 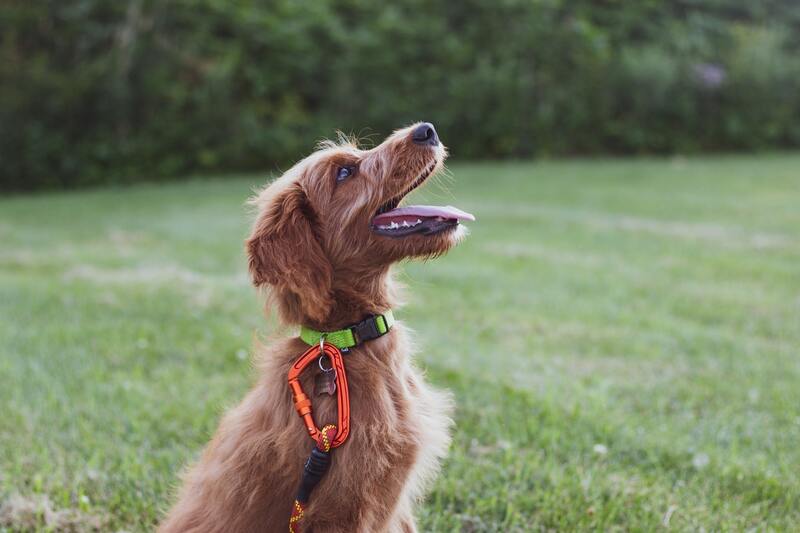 Learning new commands can also help increase your dog’s focus and impulse control – aka doggy manners. According to a lot of pup-parents, one of their dogs’ favorite activities is basic nose work games. 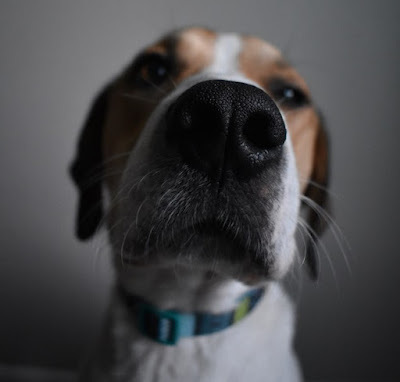 Having your dog use their nose to find things is a really simple way to help them hone in on their natural skills. And all that searching will provide your dog with a lot more mental stimulation in their daily routine. 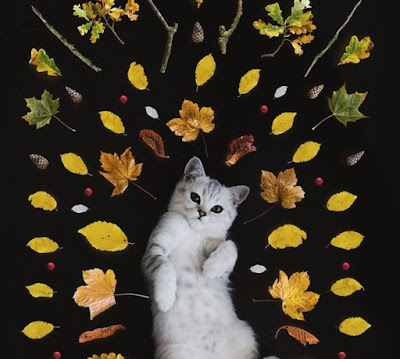 A common game owners play with their fur-friends is hide and seek, but with food. All you need to do is chop up some food you know your pooch will eat and then hide it throughout the house. We recommend something with a strong smell as it might take them a few tries to really get the hang of it. 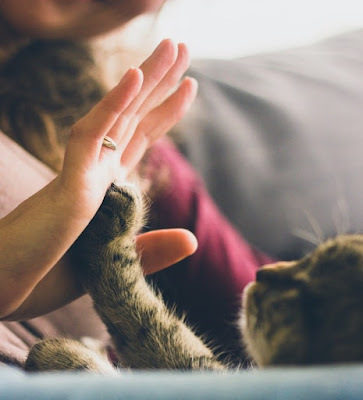 Keep it fun & exciting for them by praising them every time they find a treat. After they get the hang of it you can start hiding them in harder to find spots, encouraging them to use their nose more and rely less on visuals. 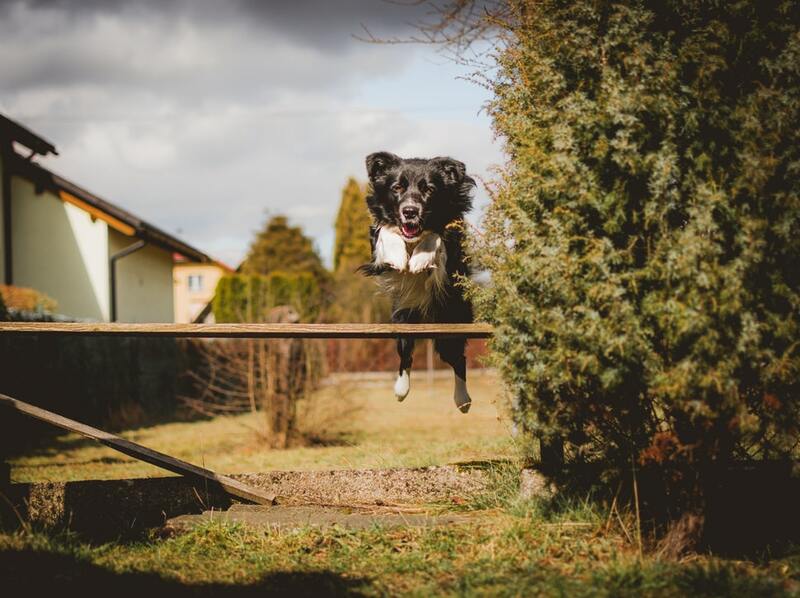 Teaching your dog how to go through an obstacle course is not only a nice mental workout for them but it can be a great form of exercise. Don’t worry if you don’t have any agility jumps or poles at home; you can make your own, or just use some stuff in your house as alternatives. You can teach your dog to ‘go to your blanket,’ ‘jump over this broomstick’ or ‘weave’ through cones. Whatever commands work with what you’ve got set up. Obstacle courses are a great way to really mentally stimulate your dog as you’re not just asking them to do one thing, you’re asking them to do one thing after another – really getting them to focus and concentrate on the task at hand. Another great activity is to teach your dog the names of their toys. The first step is making sure your dog knows the name of the item you’re going to be hiding. 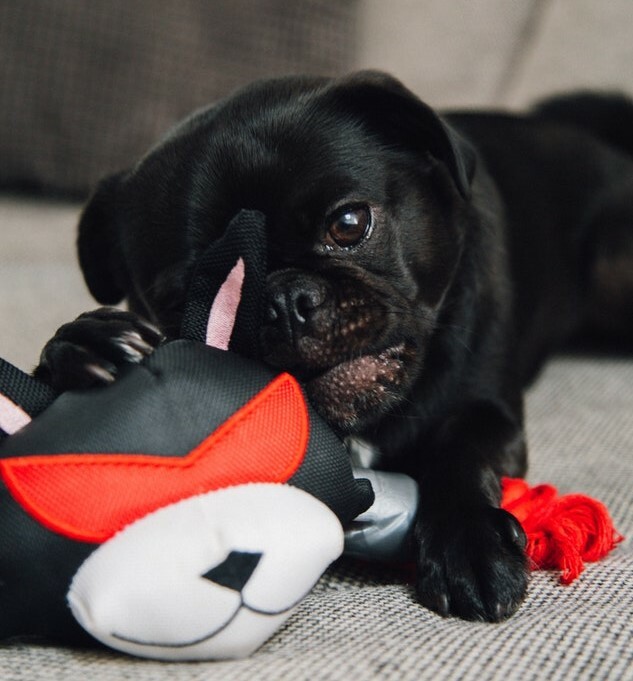 If you’re starting with a certain toy we recommend sitting down with them & that toy and tell your pooch what the toys name is – i.e. blue bunny. As soon as they touch it or grab it praise them for being a good boy! Once you’ve done this a few times you can add in a different toy. Just be sure to go slowly to ensure that your dog knows exactly what ‘blue bunny’ is before you move on to another. When your dog knows the name of a few items you have them go find an array of different toys based on their names. Lastly, we’ve got a very common dog game that owners and dogs alike seem to love – the shell game. To play this game you just need three small cups and a delicious treat broken into small pieces. Next, you’ll need to get your dog's undivided attention and as they watch, carefully line up the cups in a straight row. Grab a treat piece and hold it up to show them, lift one of the cups, then place the treat beneath it. Now start shuffling the cups around, and you'll notice your dog is following the one with the treat with their eyes. When you stop your shuffle, let your dog guess which cup has the treat. If they are right, they get the treat. If not, the game starts over again. It may take some time to train your dog to play the game, but it is a great form of stimulation and bonding time. 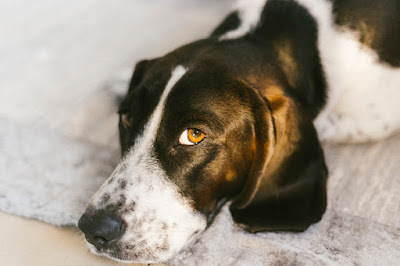 Before welcoming a dog into your home, chances are, much like an expecting parent, you need all the information you can get. 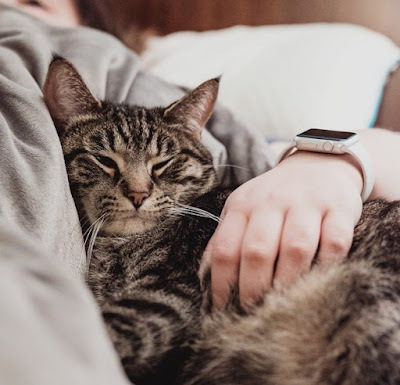 We all know having a dog is going to be a fulfilling experience, but there are a few things that you might not know about being a pet parent. We’re here to let you know the not-so-commonly mentioned information. You may think that just because your dog has short hair you won’t have to worry about shedding; well that’s very optimistic of you. Unfortunately, almost all dogs shed. Be prepared to find dog hair in your oven, on your mirror and in that suitcase you’ve yet to use. It’s going to get everywhere. 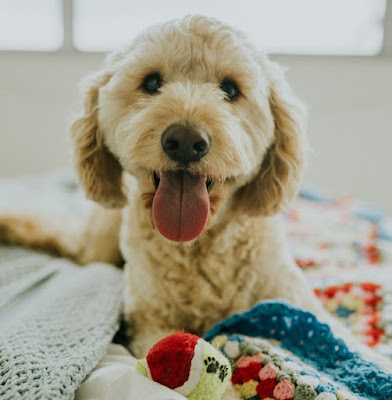 A great way to combat this inevitable problem is to groom your pooch regularly to ensure minimal shedding all over the house. If your usual wake up time during the week is 6am, good luck trying to sleep till 10am on the weekends as your dog might have other plans for you. They love their routines, and many dogs aren’t shy about waking you up if you sleep longer than they deem necessary. 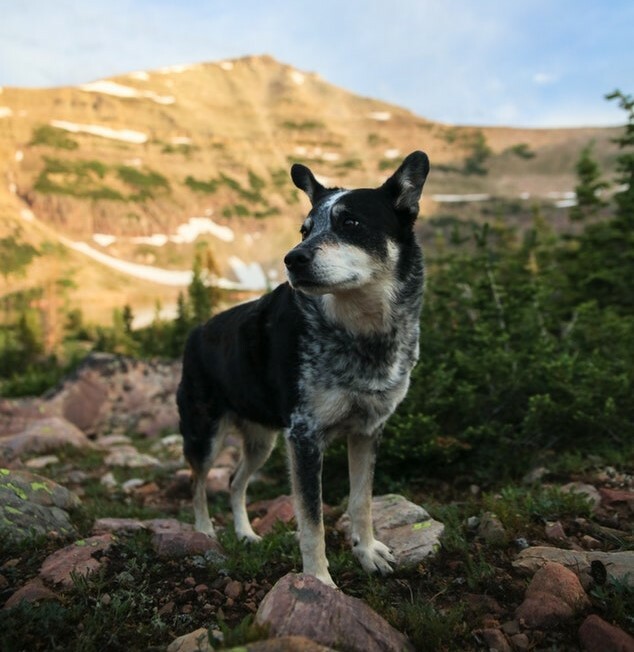 For some dogs, this distaste towards change can be more than you waking up late. It can be a change in when you arrive home from work, what time you usually feed them to even a rearrangement in furniture! Every dog has its own personality and its own preferences, so attempting to fit a dog into a specific mold just isn't going to happen. Before you get your pooch, make sure you do some basic research on the characteristic and traits of each breed. 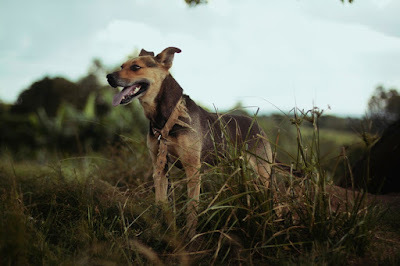 Besides breed differences, each dog has its own way of handling and reacting to situations too. Once you’ve got your dog, you’ll realize their personalities aren’t too different from ours. There will be an adjustment period for the both of you, and sometimes, you’ll feel like the worst pet parent ever. Leaving for work suddenly becomes so much harder. 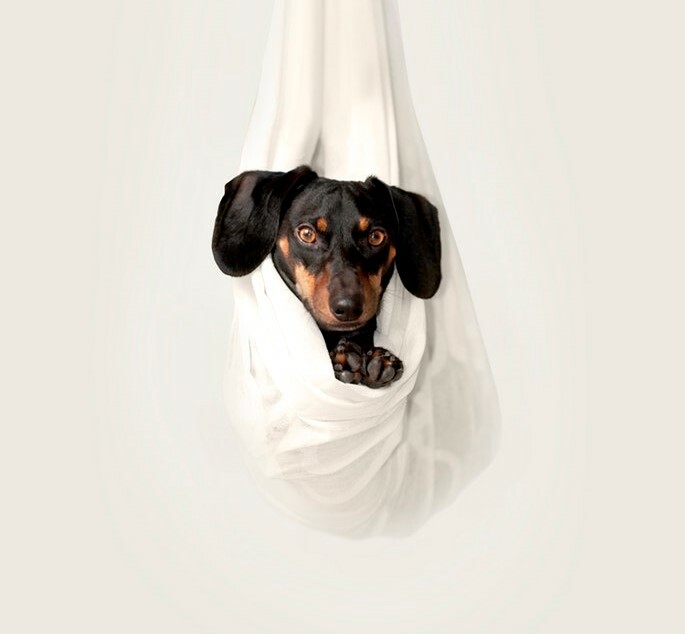 Your pup might have accidents, freak out in their new surroundings, or feel uneasy being alone. More often then not, owners end up feeling guilty for it. It’ll take a while for both of you to get used to each other and get into a routine but, that will pass with time. You can budget as much as you want for all the supplies, food and accessories you need but no one ever mentions the unexpected vet bills. We all hope that we aren’t the ones faced with these emergencies, that we often don’t take them into account when planning. Accidents are inevitable, that’s just a fact, so we suggest putting money away as soon as you can to avoid any hidden costs later on. The best way to get a fully trained pooch is by starting early. Dogs are most adaptable to training methods during their juvenile stage as that is when they begin to adopt behavior they will carry into adulthood. 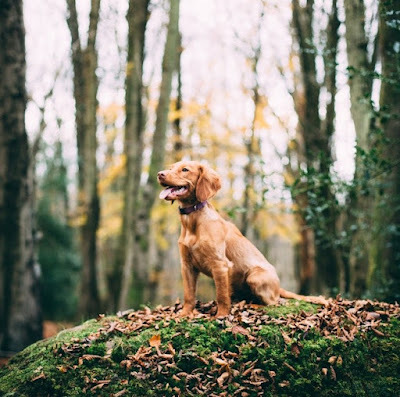 Simple obedience commands can be taught from about 7 weeks, whereas formal training usually begins around 6 months. If you’re not getting a puppy, the next best time to start training is now! Just remember to not get fixated on one type of training philosophy. 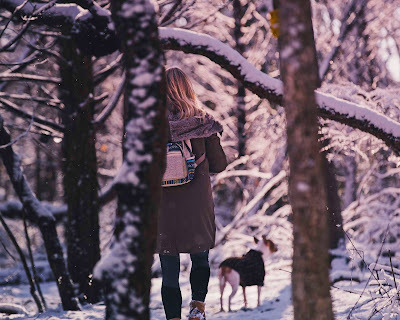 Find what works best for you and your dog and go from there. It’s all a process. Although we’ve all been told that dogs are truly man’s best friend, you won’t fully understand that until you get a pooch of your own. You’ll develop a relationship, unlike anything you thought possible. 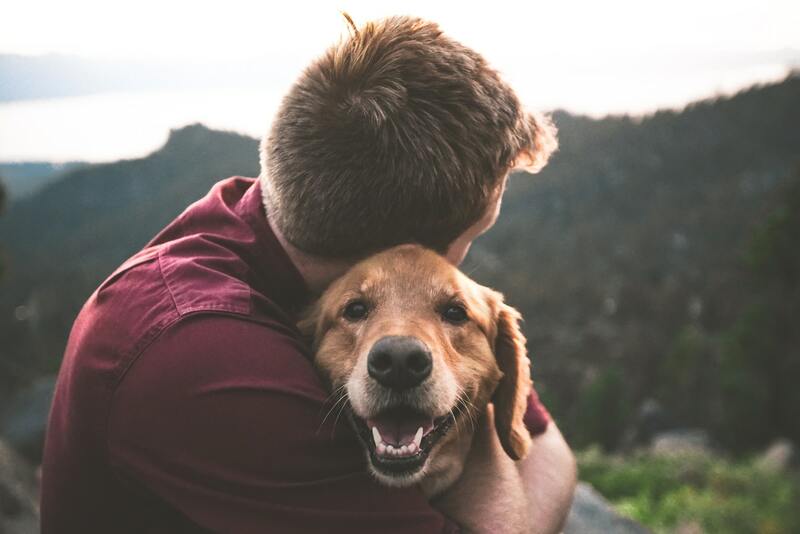 Your dog will love you unconditionally. No matter your mood, how you look or how corny your jokes. 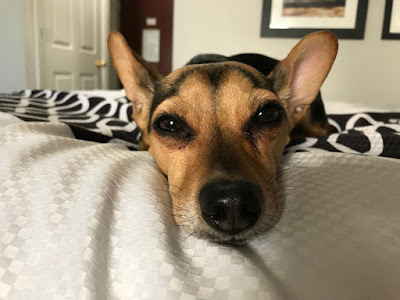 Your dog thinks you are the best person in the universe. Still scratching your head in confusion about why your dog is chasing their tail? Don’t worry, you’re not alone. 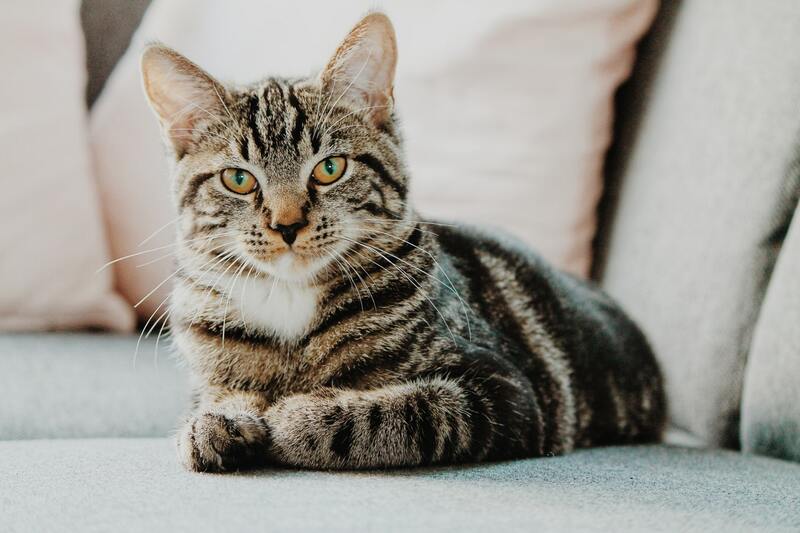 Most owners aren’t quite sure why their fur-friends circle around and around in a usually pointless attempt to catch their tails either. But the question still stands, why does my dog do this? Unfortunately, there's more than one answer. 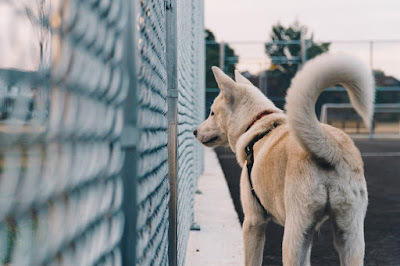 Depending on your dog, there are a few different reasons why you’ll find them trying to ‘catch’ their tail. In this article we’ve narrowed it to 5 key reasons – let’s check them out. Often, when someone sees a dog chasing their tail the general assumption is because the dog is bored. However, it’s usually not boredom but rather an insufficient level of physical activity that’s the cause. If your pooch has a great need for physical exercise, they might engage in tail chasing to use their energy and tire themselves out. If this is the case, the tail chasing should stop once their activity levels are increased. 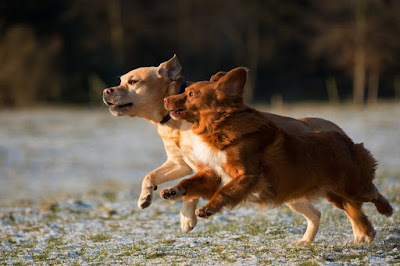 Some dogs are known to have a genetic predisposition to compulsive behaviours like tail chasing. For example, flank sucking is common in Dobermans and tail chasing is common in Terriers and German Shepherds. The age of your dog might also be a factor. 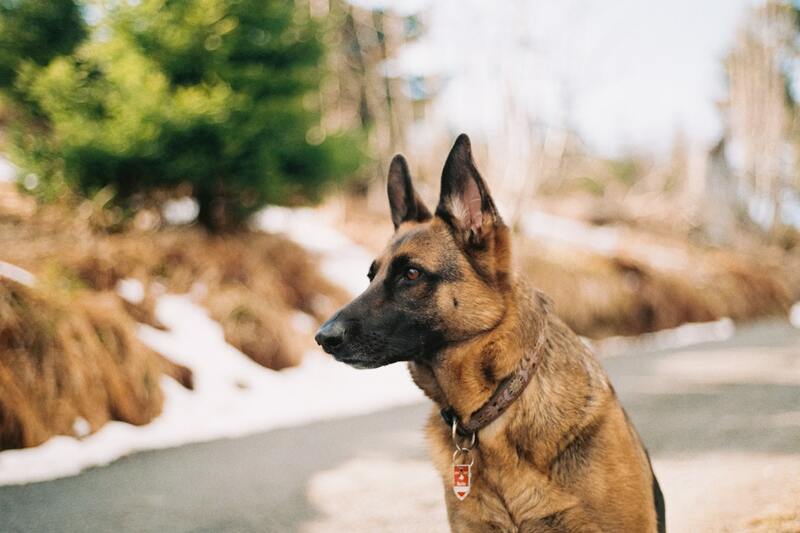 Sudden tail chasing is common in older dogs and often a signal of psychological or medical conditions. In puppies, however, it can be a harmless expression of play. If your dog suddenly starts chasing or biting at their tail, a visit to the vet is probably due. 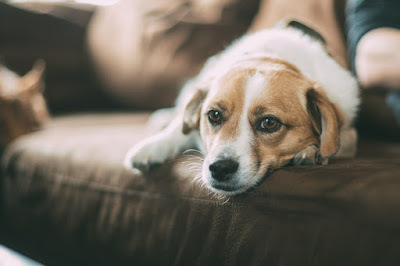 Research mentions that dogs will chew at a painful area much like people rub an arthritic knee to provide relief. For example, dogs that get their tails caught in a door or nicked on a sharp object will chase and chew at their tails to soothe the injury. Furthermore, dogs will also chase their tails when they are infested with intestinal parasites like tapeworms. Tail chasing can also be the symptom of an underlying anxiety or psychological issue. The behaviour begins with the dog chasing or scratching at the tail after an injury or irritation. As the behaviour is comforting for the dog, it can become a habit when they are feeling threatened. 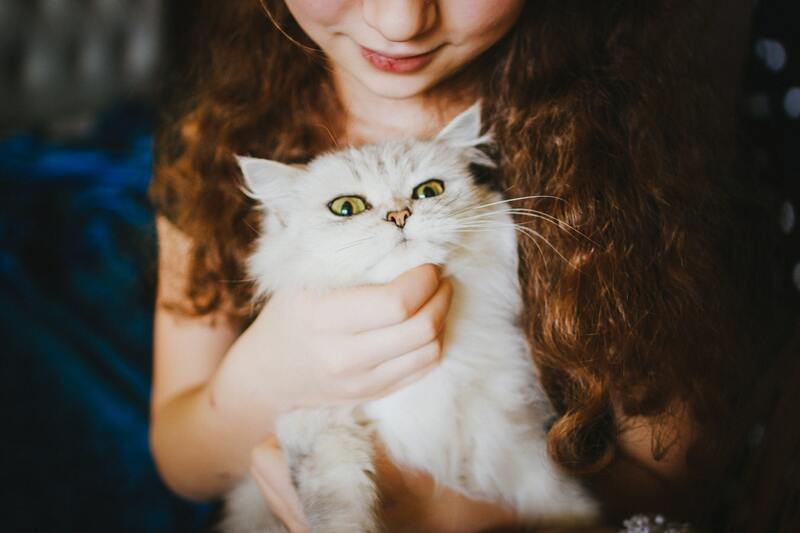 Even after the tail has healed or the irritation has gone, the action makes them feel safe. Although difficult to treat, it can be somewhat prevented if stopped early enough. Dogs are social animals, and there’s nothing they love more than attention and affection from their humans. So if your dog learns that by chasing their tail they will get your attention, chances are, they're going to continue doing it. Even negative attention can be perceived as positive reinforcement. Tail chasing is an invitation for you to take notice and play with them. The key to stopping this type of tail chasing is almost illogical. You should try to ignore your dog while they are running in circles and praise them when they're not. 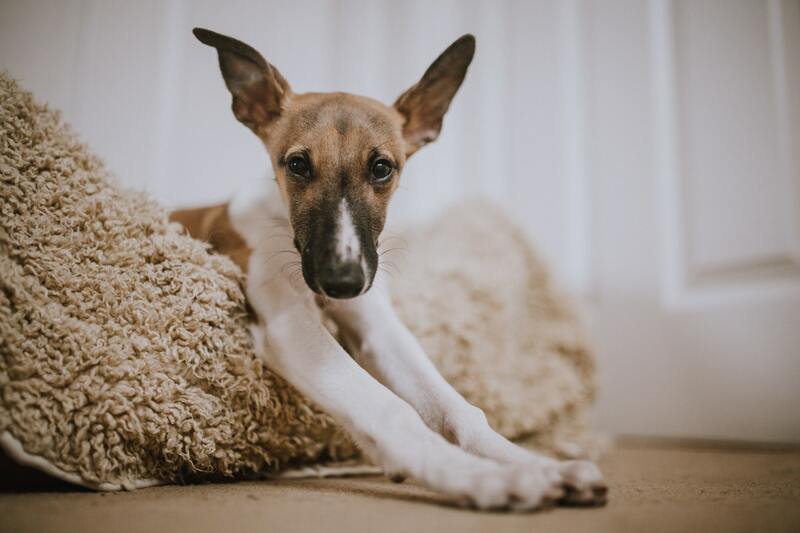 Over the year’s dogs have slowly moved from man’s best friend to being a part of the family, and as such we want to make sure their birthday – or gotcha day – is a special one. 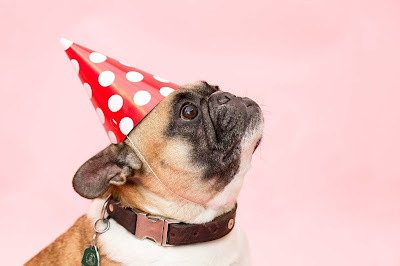 From hosting a doggie party to birthday gifts, there’s plenty of fun and easy ways to make your dog’s birthday a memorable one. After all, why wouldn’t you want to celebrate the pooch that brings you so much joy! If you’re looking for a way to make your dog’s birthday extra special it’s hard to go wrong with hosting a doggie party. Invite some friends and family over, along with their pooches, and get celebrating. You can serve dog friendly cake, give out “doggie bags” filled with treats & goodies, and play some fun doggie games. 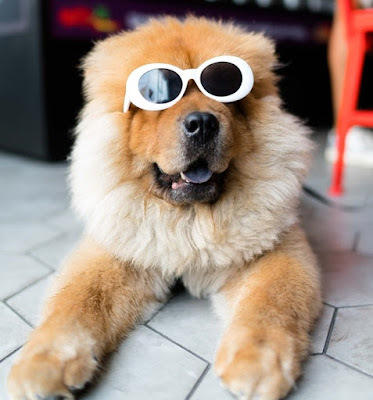 If you’re going to be holding your dog party outside remember to make sure that all of the dogs have access to fresh water and shade at all times. Letting your dog pick their own present is a fun activity and lets your dog get their ultimate toy! Take your dog to a local dog-friendly pet store and have them browse the aisles and pick out their own gift. You’ll know when they have found the ultimate present and as they won’t leave it alone. 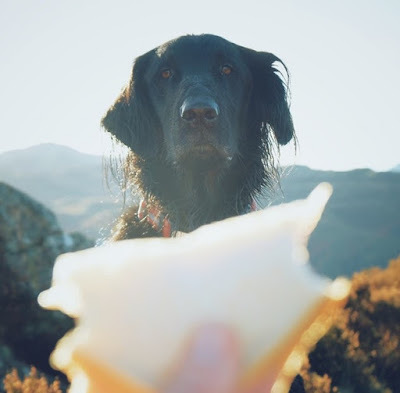 You can show your dog some extra love by making them a special treat. Just like us, our dogs love to indulge in some yummy treats, so what a better day to spoil them than their birthday? Baking your dog some goodies can also be a fun bonding experience for the both of you. We all know how much our dogs love their daily walk, so why not take their walk to the next level by taking them somewhere brand new. 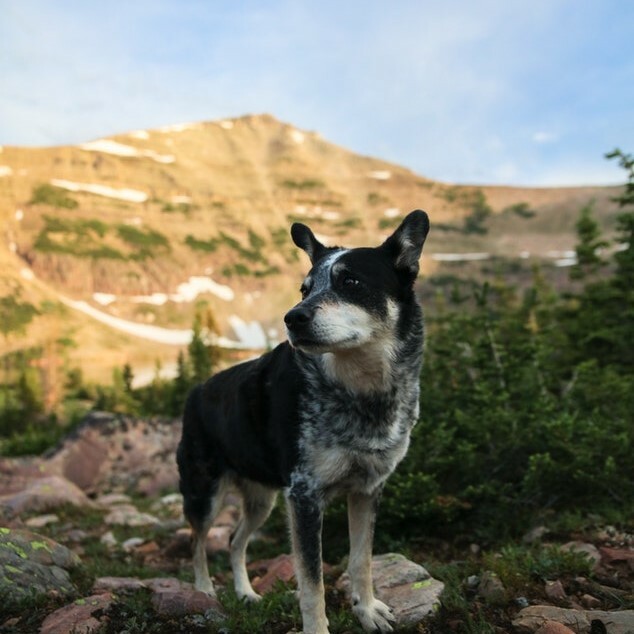 Explore a new hiking trail together or take your dog to a new park. To make it even more fun for them remember to give them some extra time to sniff around and take in all those new and exciting smells. Such a simple idea, yet your pooch will love you for it. 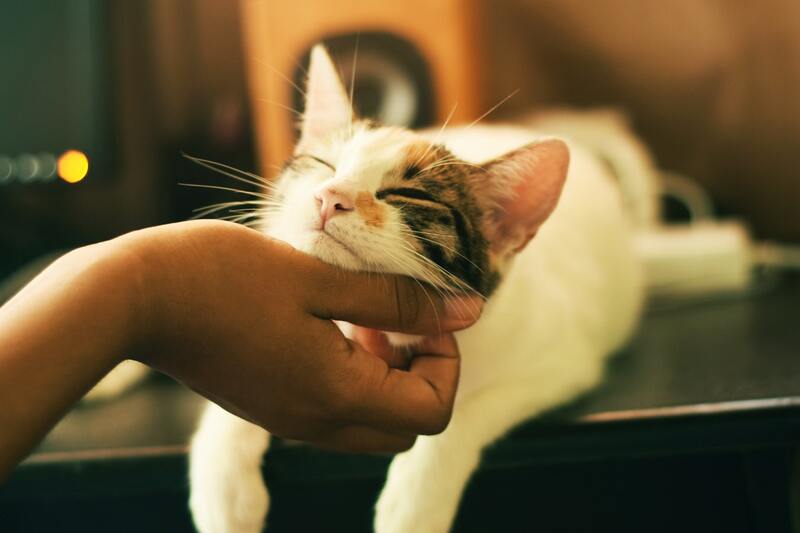 Another easy way to make your dog’s birthday extra special is by pampering them. Spoil them and give them some extra love and attention on their special day. Cook them a nice homemade meal, take them on an extra-long walk, buy a new toy, give them a relaxing doggie massage, and some nice cuddle time on the couch. Who wouldn’t love this on their Birthday? If big birthdays aren’t yours, or your dog’s thing, why not try a one-on-one doggie playdate! Inviting your dog’s best dog friend over for some play time may seem rather simple, but that one-on-one time is really fun (and exhausting) for your dog. Just remember to keep an eye on things, and make sure the dogs have access to fresh water at all times. If you know your dogs love to swim, why not make their birthday extra exciting by turning it into a swim day. 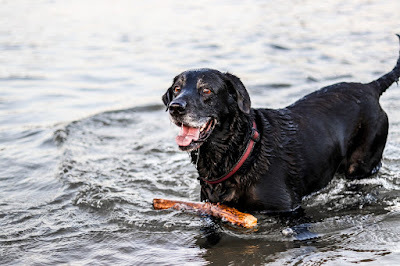 You can take your dog to the local beach, or search for any dog friendly pools in your area. Just remember to keep an eye on your dog at all times for a fun and safe time. 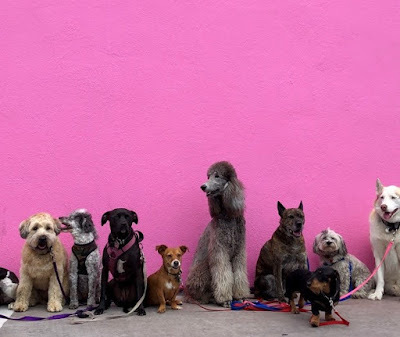 A favorite for most dog owns is celebrating their fur-friends birthday by having simple and relaxing movie night. Put on your pajamas, make some popcorn, and cuddle up with your dog on the couch and watch some movies together. To make it extra festive, try watching dog related movies!